There was a minute when Scriptown was regarded in the same league as Omaha City, Florence and Saratoga. It was just a small minute, and it disappeared quickly. Here’s a history of what happened. If Scriptown was on this 1856 map, it would have been here. In 1854, Nebraska Territory Governor Tom Cuming declared Omaha would be the first meeting place for the new Legislature. A lot of towns disagreed with his decision, but the Legislature met anyway. There were immediately arguments about where the permanent Nebraska State capital should be, and all kinds of towns fought over it, including Florence. To keep its place on the map, the founders of Omaha City immediately laid out an addition to the north of the city. Lorin Miller was the surveyor of Scriptown. His measurements placed the land from Cuming Street to Fort Street. An early history of Omaha said, “It was about a half-mile wide, and adjoined the north and west sides of Omaha.” An 1869 court trial said the eastern boundary of “Scrip Town” was 16th Street, and said there was space between Scriptown and A. “Scrip” was a piece of paper with a promise on it, acting like a contract or money. The Scrip that was handed out in Omaha in 1854 promised land. A period drawing of the first Nebraska Territory capital located in Omaha. There were some shady deals made here. The Council Bluffs Ferry Company was responsible for hiring Miller. They were essentially a real estate company in disguise as a ferry company. Using the lots Miller platted as bribes, the company made sure newly elected Nebraska Territory legislators each got property in the new city. Almost all of these legislators lives in Iowa and Missouri, and had barely come to Omaha when they were given lots. Through this shady lobbying, Omaha was officially designated the Territorial capitol on February 22, 1855. The founder of Florence, James Mitchell, was one of the legislators whose mind was changed with the lots, and with a position in the new government of the Nebraska Territory. He was also promised that the north boundary of Douglas County would encompass his town, instead of the original boundary at Sulphur Springs that was considered. After he voted to keep Omaha as the capital, Mitchell became the commissioner in charge of situating the new capital building. At first, he chose Sulphur Springs, aka Saratoga, because of heavy lobbying from that town’s founder. However, with a little lobbying from the Omaha Claim Club, he ended up choosing Capitol Hill, where Central High School is today. And all of this happened because Mitchell changed his mind and became an advocate for Omaha. He did that because of the sixty (60) lots he was given in Scriptown, which were worth good money then, and in 1856 he auctioned them off for $60 each. The lots were conveniently located immediately north of Capitol Hill from North 16th to North 24th, Cuming north to Hamilton Street. Their proximity to the place Mitchell choose for the capital building only helped their value. This is what scrip looked like in the 1860s in Omaha. This is similar to what legislators would’ve received for Scriptown. The territory’s governor, Tom Cuming, was a New Yorker living in Council Bluffs when this all happened. Cuming wasn’t thought of well by anyone south of Omaha because he favored his East Coast friends. Most of the river towns between Omaha and Kansas thought they should become the state capital because they were more established, more successful or better heeled. They included Bellevue, Plattsmouth, Nebraska City and Brownville. Cuming didn’t care, and simply followed the will of the East Coast investors who’d moved into Council Bluffs, including Sam Bayliss, whose hotel he was staying at. Bayliss was also an owner of the Council Bluffs Ferry Company, and an early real estate mogul in western Iowa. General Experience Estabrook was appointed by President Franklin Pierce the attorney general of the Territory of Nebraska and served from 1855 to 1859. In the 1870s, he told stories of the territory’s pioneer era for a history book and shared a few about Scriptown. One was about an Omaha City Council member and territorial legislator who’d been given scrip to make him vote for Omaha to stay the capital. The next day, he was overheard bragging loudly that he was still going to vote for the capital to move away from the city. An accountant with the ferry company found the guy the next day and told him there was an error on the scrip and that he needed to fix them. The bad seed handed the papers over, and never saw them again! They were simply handed over to the next legislator who said he’d vote to keep the capital in Omaha. Its hard to find any account that mentions Scriptown beyond the original shady handouts to the legislators. An exception came in 1878, when Lorin Miller took John Horbach to court. Fighting over a slice of land near North 21st and Hamilton, the pair went through a rehash of the history of surveying Omaha. Miller reported he surveyed 1,500 blocks, and admitted he’d never measured any part of Scriptown. Their court battle dragged on through a couple of trials, and resulted in Horbach being awarded more land that was in the original Scriptown addition. However, if Miller never measured Scriptown by his own admission, how do we know where Scriptown actually was? Some historians contend Scriptown never amounted to anything. 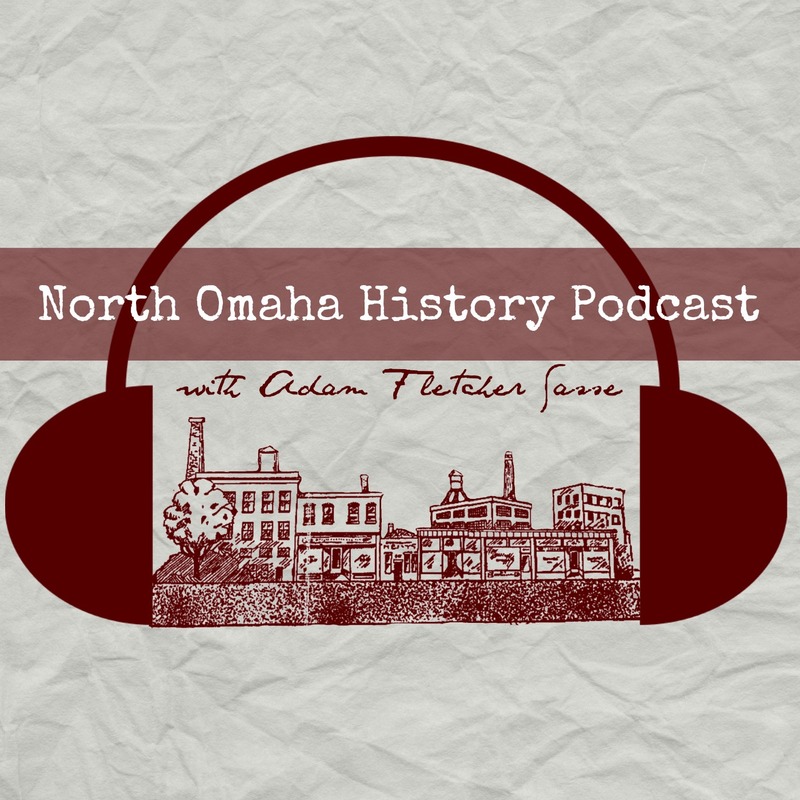 In 1857, there was a national bank crisis across the country and Omaha was hit hard. A lot of businesses folded and settlers moved away. Omaha City barely survived its first few years, Scriptown or no. Pioneer stories were all that was left of Scriptown within a few years. In my research, I only found one first account of Scriptown and two secondhand accounts. I can’t find an map from that era that clearly delineates the boundaries, and there’s no sign of any of the original scrip left, from what I can tell. John Horobach and Moses Shinn consolidated much of the land in the southern part of Scriptown, while Augustus Kountze and his brothers bought land in the north. Scriptown may have thwarted the even, steady development of North Omaha; it might not have. Hard to say. Please share anything you know about Scriptown in the comments below!